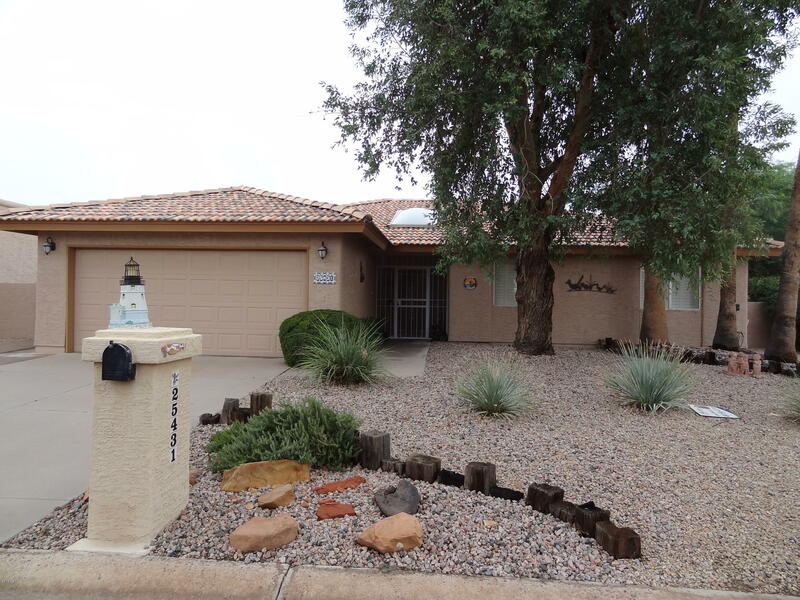 2 Bedroom with Den or could be 3 bedroomOpen Living and Dining and Az/ Family Room and Office. Breakfast Nook and Breakfast Bar. Large Utility Room with extra Ref. and cabinets galore. Nice Washer and Dryer.Granite Counters and Wood Plantation Shutters. Tile and laminate floors. Carpet in Bedrooms need replaced. Wet Bar in Great Room. Separate air in Family or Az Room.Heat pump approx. 4 years young.The EZ GO 1996 Golf Cart can remain with home.